It’s that time of year again! 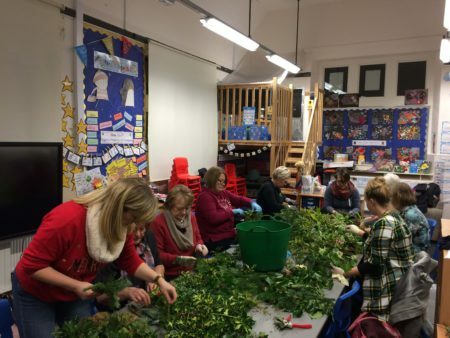 Parents, grandparents and staff gathered together for our annual creative evening making Christmas wreaths to adorn our own front doors. It was once again a very enjoyable and productive event…. an evening of calm amongst the Christmas chaos. 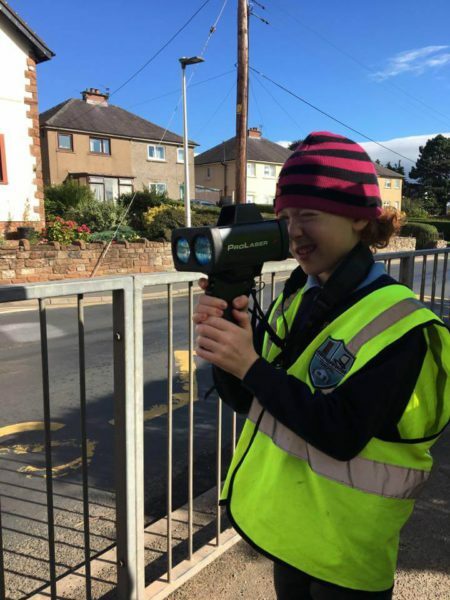 A group of children recently worked with the police on road safety and speeding issues regarding traffic travelling through Clifton. They tried to catch some speeding cars but the high vis vests gave them away! We always like to combine a hot drink, cake and a good book so what better chance than this year’s Macmillan Coffee morning. 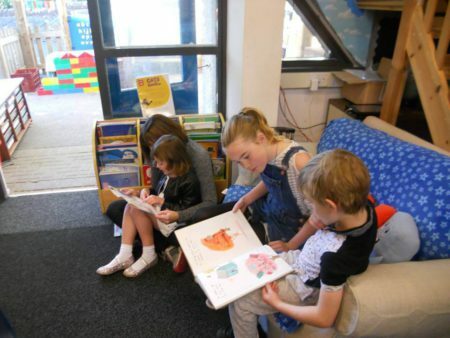 We were overwhelmed by the array of delicious treats that arrived in school and with the number of family members who came to share a book and a slice of cake with their children. At the end of the day over £250 had been collected for this great cause. Thank you to everyone who joined in. 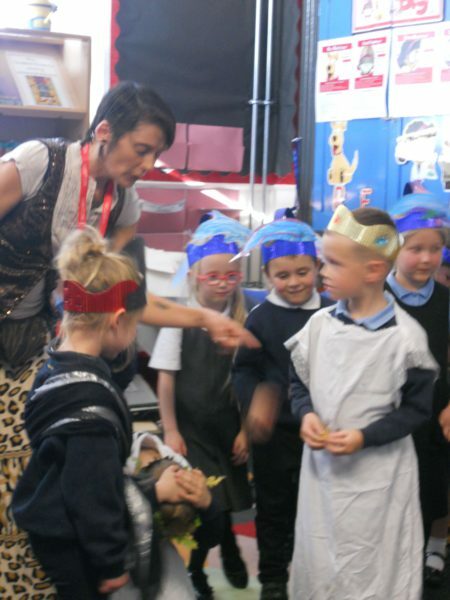 The children worked in pairs to create fish and other sea creatures out of plastic rubbish. 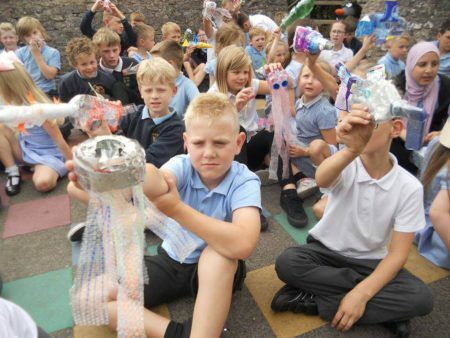 Bottles, crisp packets, cartons and bags were transformed into colorful fish, octopus and jelly fish ready for a display in the school corridor. Mrs Newman shared a presentation about plastic in the ocean at the start of the afternoon which helped make the message clear! The theatre group have been working hard with Anna and Suzanne to get ready for their performance. 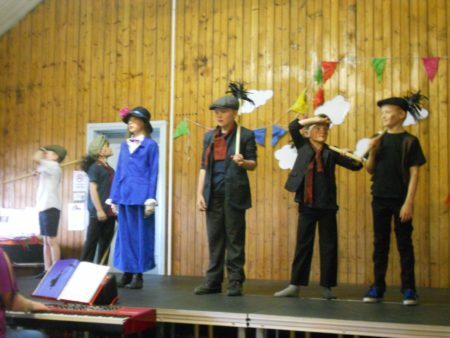 The whole school were so impressed with their singing, dancing and acting as they performed their way through Mary Poppins and Charlie and the Chocolate Factory classics. What a talented group of children! 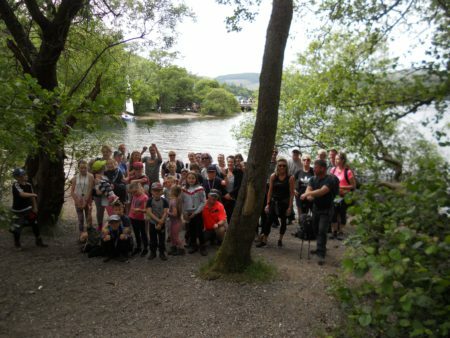 A group of 19 intrepid walkers set off bright and early from Patterdale on June 23 for the 22 mile walk around Ullswater. After a reviving cake and cuppa break at Granny Dowbekins half way through they were joined by reinforcements for a 4 mile stretch to Howtown. All money raised will go towards i.pads for school. Well done and thank you to all those who took part or sponsored walkers. Another enjoyable and successful event for Clifton School. 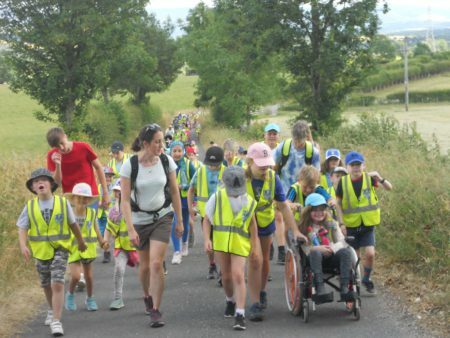 The weather cooled down just in time for our annual sponsored walk to the Ice Cream Farm. 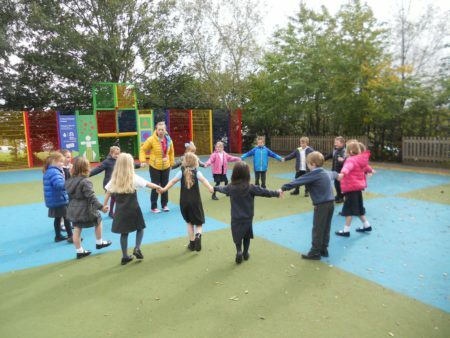 The children were paired up so that older children could support and encourage the younger ones and all the adults involved were very impressed by the care and friendship we saw throughout the day. Well done Clifton! Money raised went towards i.pads and other essentials for school. 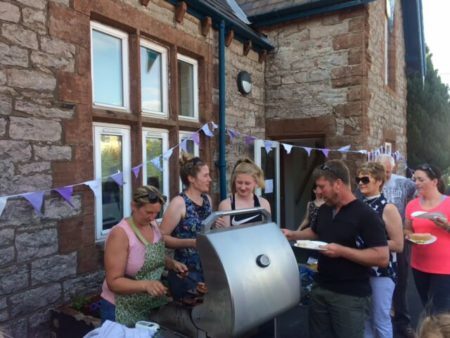 A sunny Friday evening in June saw the first of a new event for Clifton Primary School with a night of rounders, stalls, Bouncy Castle, BBQ and bar. Organised by a the PTA it raised over £400 for school funds and everyone agreed it was a great chance to socialise and have fun. Maybe a get together to organise every year!